If you are living in the Hamilton area, and you are looking for a quality car site in Hamilton to find premium quality vehicles both new and used, then you need to make Budds’ BMW hamilton your first choice. Our website is is very easy to navigate and has a plethora of information about our vehicles, and includes a massive selection of different vehicles to choose from. Budds’ BMW Hamilton is known for providing our valued customers with the highest quality machines that give the driver an exhilarating experience behind the wheel, and all of these vehicles are available to look at, and get information about, on our quality car site in Hamilton. Whether you are looking for a new car or a pre-owned car, our quality car site in Hamilton has got the inventory of vehicles that you want. Our website is world class, and as a highly reputable and respected auto dealer, it stands to reason that we provide our customers with a database where they can go and look for our fine automobiles online. Once you arrive at our quality car site in Hamilton at Budds’ BMW Hamilton, you will be met with a beautiful online landscape that is home to our fine selection of premium automobiles. It doesn’t matter if you are looking for new or used vehicles, when you come to our site, you will be able to search for the type of vehicle that you want. We have provided you with many search options that are meant to narrow down your search, and only have cars that fit your criteria appear in the search. You can choose from filter options like price, colour, transmission, body type, model, year, make, and drivetrain to name a few. If you already have a vague idea of what you would like in a vehicle, you can implement your vehicle specifications, and only the vehicles that meet those specifications will appear in the list. If you have found the vehicle that you think you will enjoy driving, you can actually schedule a test drive in that vehicle right from our quality car site in Hamilton. Just having the pictures and the information does not do these vehicles justice, the only way to truly experience the vehicle to see if you will enjoy it is to get behind the wheel and test drive it. When you select a car from our quality car site in Hamilton, there will be a little blue button that you can click that says ‘book a test drive.’ Once you click on this button, a separate window will open where you can pick the date and the time that works for you to come in and test drive your prospected new BMW vehicle. Budds’ BMW Hamilton has made it easy for our valued clients to find our premium vehicles online. Our quality car site in Hamilton is easy to navigate and has a massive inventory that you can choose from. 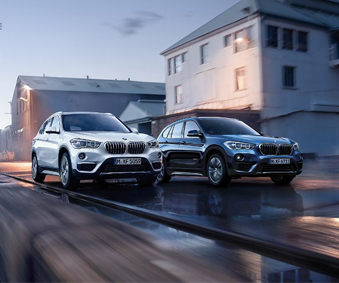 If you would like to know more information about Budds’ BMW Hamilton, please feel free to continue browsing through our quality car site in Hamilton. We can also be reached via phone or email.